August 2014. 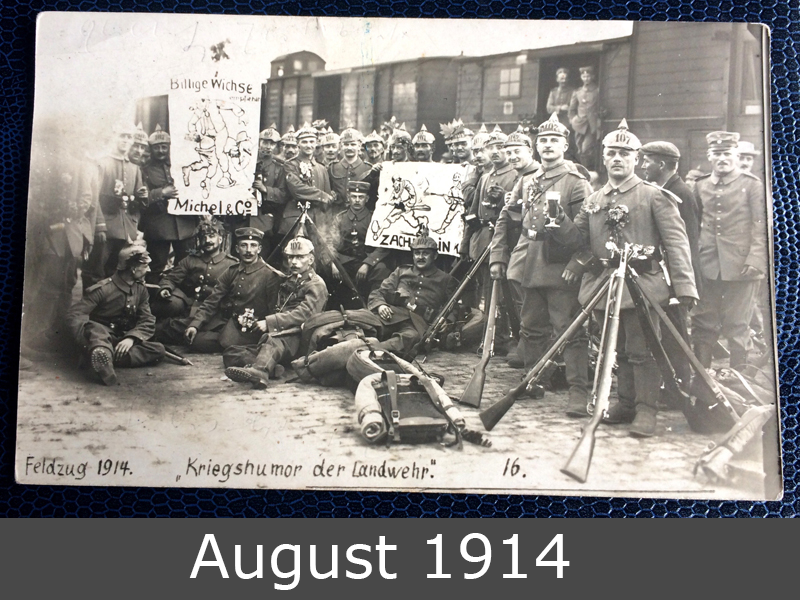 World War I. German soldiers on the way to the front. 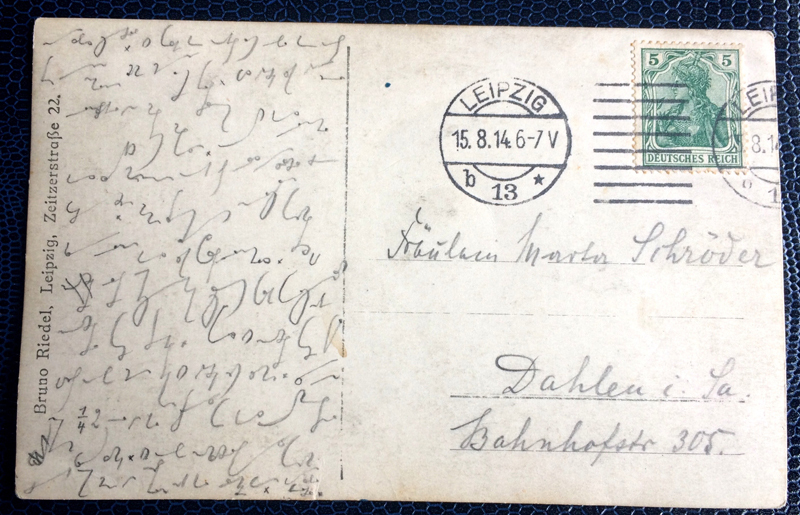 On the bottom left is written: “Expedition 1914” and “War humor of the Landwehr”. Is that funny? N0t really. But it was year 1914.